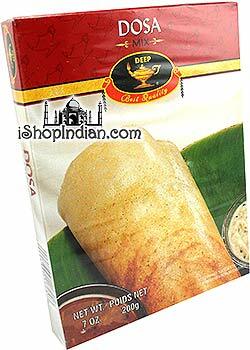 From popular South Indian brand Aachi comes an instant Rava Dosa Mix from the heart of Chennai. 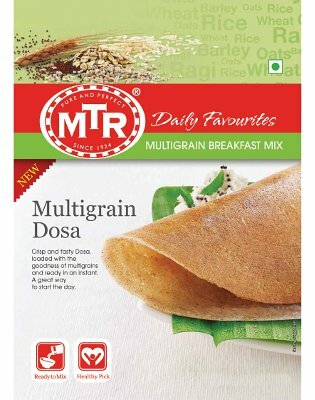 This mix is a authentic way to make the Rava Dosa, a wheat based pancake popular through the Southern region of India. Simply soak the contents of the pack in 550 ml of water for 5-10 minutes; Add 1 tbsp of chopped onion, 1 tbsp of green chillies and a sprig of coriander leaves. 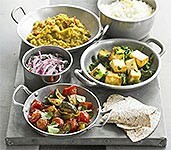 Start by using a flat, heavy iron pan or Indian tawa and turning stove to MEDIUM heat. (It is important your pan is not hot when adding dough - sprinkle with cold water and wipe clean). Pour a ladle full of the above batter in a circular fashion from the periphery to the center, making the layer as thin as possible. Sprinkle cooking oil on top, cook for a minutes or so, until bubbles appear on top side all over. Flip and cook for an additional 45 seconds to one minute. 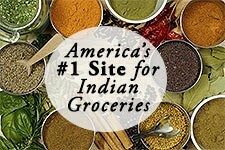 Remove and serve hot with your favorite chutney or veggie curry. 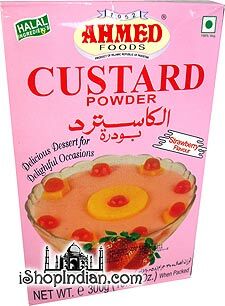 Sweet and creamy custard mix made with corn flour and strawberry flavor. 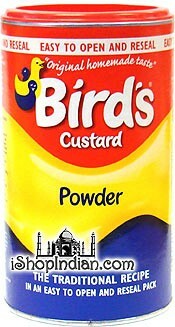 A quick and easy custard can be made my mixing this mix with milk and sugar and mixing until a smooth consistency. 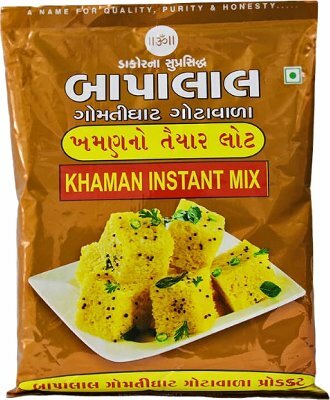 Enjoy the fine tasting khaman anytime you wish with this special batch of instant mix from Dakor, Gujarat. 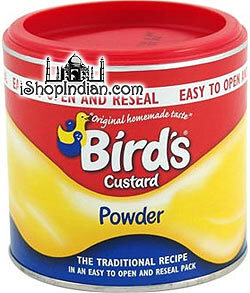 it is made out of chana dal flour, sugar, salt, sodium bicarbonate and citric acid. Keep it handy in the kitchen for a quick fix. 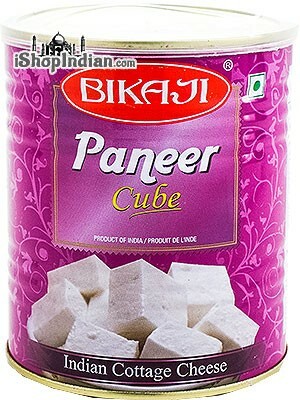 Ingredients: Chana Dal Flour, Sugar, Iodized Salt, Sodium Bi-Carbonate, Citric Acid. 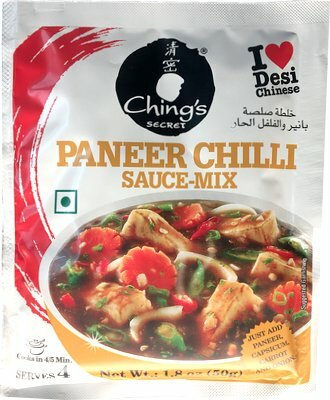 Probably one of the most popular Chinese dishes is anything Manchurian, and this stir-fry sauce mix has it all. No more hassles of mixing and grinding the usual eight ingredients. Goes very well with vegetables, fish and chicken. Easy to follow directions on package. $1.19 Notification will be sent to your e-mail address every time the item price is decreased. 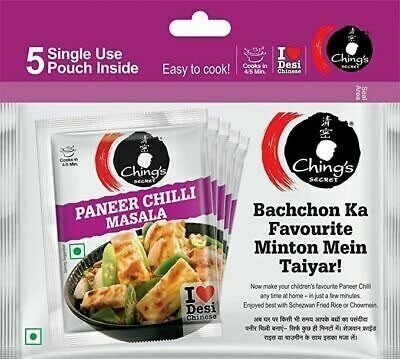 Instant food mixes are here to stay... they are a quick and easy way of eating healthy Indian food with authentic homemade taste at the convenience of cooking without much ado. 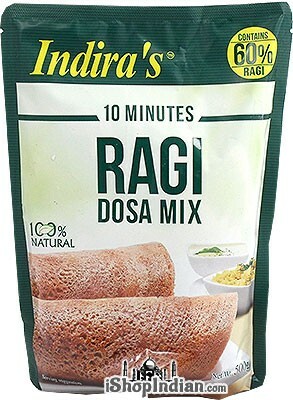 Ragi Dosa is a healthy and exciting alternative to traditional rice dosas. 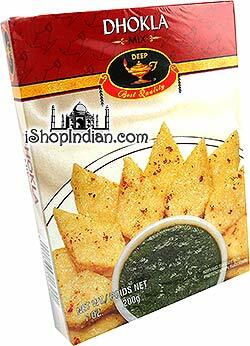 Ingredients: Ragi, urad dal (black grams), fenugreek (methi) seeds, rice, cumin seeds, and curry leaves. 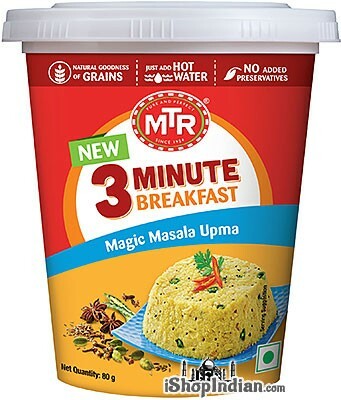 Ingredients: Multigrain flour, rice, blackgram splits, refined wheat flour, rice flakes, vegetable fat, salt, leavening agent sodium bicarbonate, acidity regulator malic acid and fenugreek. Treat yourself to the authentic taste of Poha made into a crunchy delight with lightly-fried peanuts, added with tempered spices for aroma and curry leaves for aroma. Just and hot water, cover and let sit for 6 minutes and enjoy! 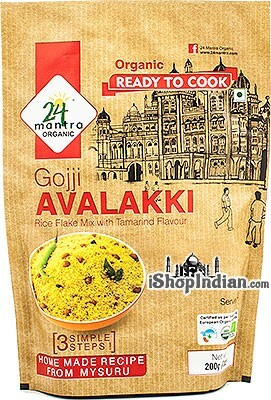 Ingredients: poha (rice flakes), cottonseed oil, peanut, onion, salt, sugar, green chili, lemon juice powder, mustard, cumin, curry leaf and turmeric. 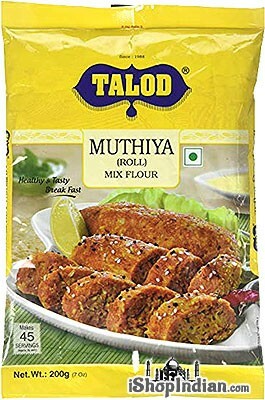 Muthiya is a West-Indian delicacy. 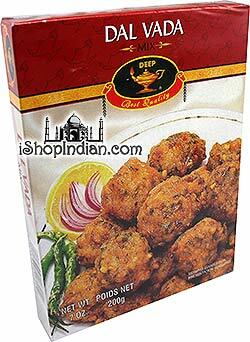 This wheat and spice flour mix is combined with your favorite vegetables and steamed. They are healthy and satisfying. Easy to follow instructions provided on the pack. 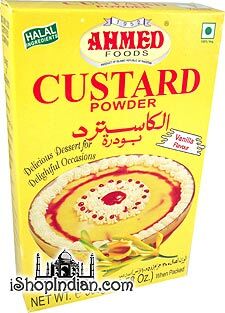 Ingredients: wheat flour, iodized salt, citric acid, red chilli, asaofoetida, cumin seeds, ajwain, sugar, turmeric and Indian herbs. 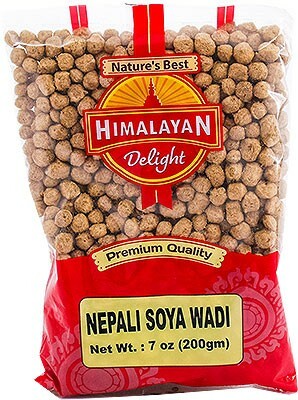 These soya balls are traditionally consumed in Nepal but have grown in popularity around the world. They are packed with protein and easy to use. 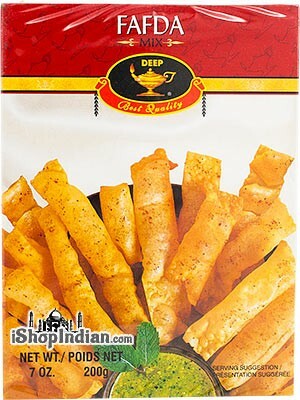 Simply add them to your curry sauce to allow them to soak up the flavor and cook through.